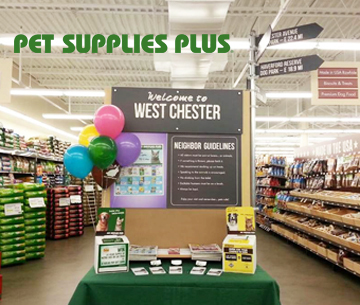 Pet Supplies Plus is the third-largest pet specialty retailer in the U.S., offering a wide variety of pet food, treats, hard goods, and services for dogs, cats and small animals. With a friendly, pet-centered culture, each location is large enough to house a broad selection of food and supplies, yet small enough to still feel neighborly. Founded over 30 years ago, Pet Supplies Plus has over 250 neighborhood locations in over 20 states.